If you have been looking for a new or used car, this is your opportunity to save big! 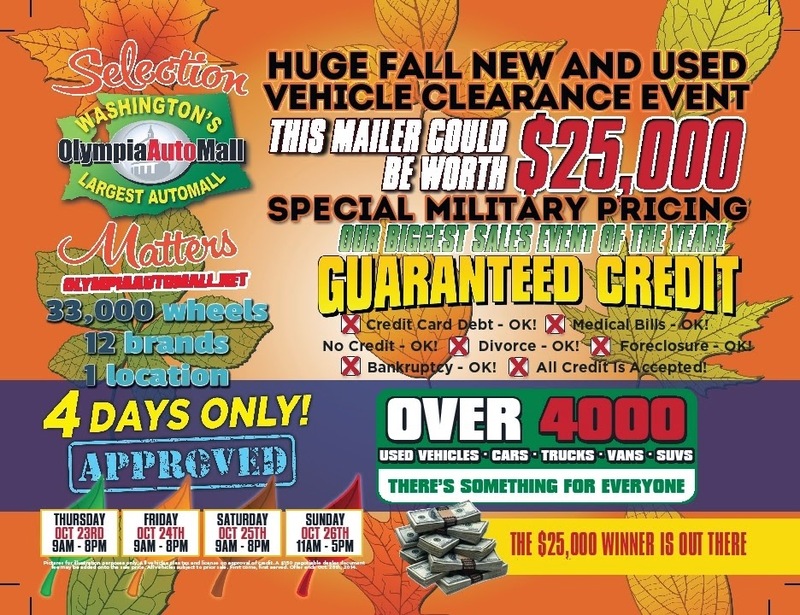 The Olympia Auto Mall is having a huge fall clearance event – 33,000 wheels, 12 brands, 1 easy location. Mailers have been sent out with details. Each mailer is a scratch card worth up to $25,000. This is the biggest sales event of the year and one lucky person has the chance to win $25,000. If you did not receive a scratch card in the mail, it’s not too late. Stop by any of the participating dealerships and pick up yours today. With over 4000 vehicles to choose from in one easy location, the Olympia Auto Mall has your next car waiting for you. The Clearance Event is 4 days only – October 23rd through October 26th. Financing and special military discounts available. 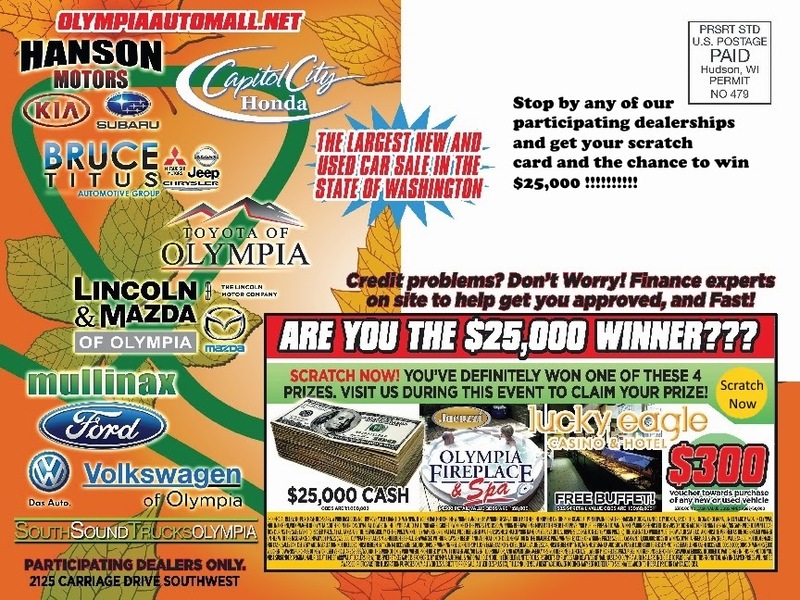 Visit the Olympia Auto Mall and drive away with the car of your dreams! The Olympia Automall - Washington’s Largest !! !